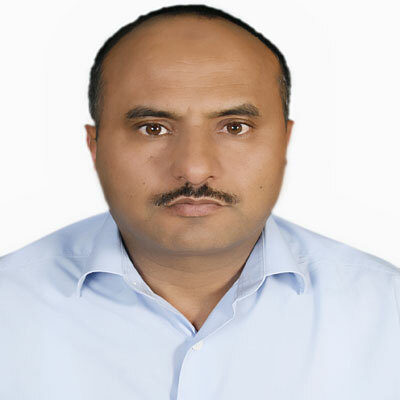 Dr. Fawzi Irshaid is currently working as Associate professor in Biology Department, and Head of Department of Biological Sciences at Al-Bayt University, Jordan. He obtained his PhD in Molecular Biology from The Ohio State University. His research interest focused on several issues, isolation and characterization of bacteria from various sources including the Dead Sea and testing their sensitivity to newly synthesized antibiotics., role of LMP-1, P16 and P53 proteins in Lymphoma cancer, genetic variability of insulin hormone in patients with type II diabetes mellitus, efficacy and toxicology of some medicinal plants using animal model, the potential role of CR1L-2 as receptor signaling in the human immune system as well as its potential role in Systemic Lupus Erythematosus (SLE) and in early lymphogeneisis or hematopoiesis. In past he worked as Teaching Assistant, Research Assistant at Yarmouk University, Teaching Assistant at University of Science and Technology, Graduate Research Associate, Teaching Assistant at The Ohio State University USA, Full time Lecturer, Assistant professor and Assistant Dean at Al al-Bayt University. He is working as member of Scientific and Technical Committee & Editorial Review Board on Biological and Life Sciences, 2008. Several nonprofit local organizations, Scientific Technical Committee and Editorial Board on Biological, Pharmaceutical & Environmental Sciences, Planetary Scientific Research Center (PSRC), Reviewer of International Academy of Arts and Science and Technology, President of Conservative of the Holly Quran Society, Branch of Al-Manshieh. He supervised 13 Graduate students. He has published 29 articles in journals, 14 in conferences as author/co-author. Dr. Fawzi Irshaid has received many distinctions include Scholarship from The Ohio State University for graduate study in Molecular Cellular and Developmental Program, Fellowship from Yarmouk University for graduate study in Biochemistry, Scholarship from Ministry of Education, Jordan for undergraduate study at Yarmouk University. He also received number of research grants. Jacob, J.H., F.I. Irshaid and M.A. Alhalib, 2016. Estimation and identification of airborne bacteria and fungi in the outdoor atmosphere of Al-Mafraq Area – Jordan. Jordan J. Biol. Sci., 9: 3-10. Irshaid, F.I., J.H. Jacob, Y.A. Al-Soud and H.A. Mohammed, 2016. Nematocidal effect of 1,2,4-triazole derivatives against Bursaphelenchus xylophilus. Asian J. Biochem., 11: 156-161. Irshaid, F.I. and J.H. Jacob, 2016. Isolation and molecular identification of new benzene degrading Lysinibacillus strains from gasoline contaminated soil. Res. J. Environ. Earth Sci., 8: 34-43. Jacob, J.H. and F.I. Irshaid, 2015. Toluene biodegradation by novel bacteria isolated from polluted soil surrounding car body repair and spray painting workshops. J. Environ. Prot., 6: 1417-1429. Irshaid, F.I. and J.H. Jacob, 2015. Screening and characterization of aerobic xylene-degrading bacteria from gasoline contaminated soil sites around gas stations in northern jordan. J. Biol. Sci., 15: 167-176. Irshaid, F.I., K.A. Tarawneh, J.H. Jacob and A.M. Alshdefat, 2014. Phenol content, antioxidant capacity and antibacterial activity of methanolic extracts derived from four Jordanian medicinal plants. Pak. J. Biol. Sci., 17: 372-379. Irshaid, F.I., J.H. Jacob and A.S. Khwaldh, 2014. Contamination of the handles and bases of shopping carts by pathogenic and multi-drug resistant bacteria. Eur. Sci. J., 10: 154-169. Irshaid, F.I., 2014. Prevalence of insulin-treated type 2 diabetes mellitus in Northern Jordan: Life style, familial inheritance and maternal influence. Eur. Sci. J., 10: 366-380. Jacob, J.H., F.I. Irshaid and Y.A. Soud, 2013. Antibacterial activity of some selected 1,2,4-triazole derivatives against standard, environmental, and medical bacterial strains. Adv. Stud. Biol., 5: 291-301. Jacob, J.H. and F.I. Irshaid, 2013. A new Shewanella putrefaciens strain isolated from the Dead Sea of Jordan. Malaysian Applied Biol. J., 42: 13-19. Irshaid, F., K. Tarawneh, A. Alshdefat, F. Dilmi, R. Al-Hadithi, A. Jaran and A. Al-Khatib, 2013. Loss of P16 protein expression and its association with epstein-barr virus LMP-1 expression in hodgkin's lymphoma. Iran. J. Cancer Prev., 6: 78-84. Jacob, J.H. and F.I. Irshaid, 2012. Biochemical and molecular taxonomy of a mild halophilic strain of Citrobacter isolated from hypersaline environment. Res. J. Microbiol., 7: 219-226. Irshaid, F., K. Mansi, A. Bani-Khaled and T. Aburjia, 2012. Hepatoprotetive, cardioprotective and nephroprotective actions of essential oil extract of Artemisia sieberi in alloxan induced diabetic rats. Iran J. Pharm. Res., 11: 1227-1234. Irshaid, F. and K. Mansi, 2011. Status of thyroid function and iron overload in adolescents and young adults with β-thalassemia major treated with deferoxamine in Jordan. Int. J. Biol. Life Sci., 7: 47-52. Tarawneh, K.A., F. Irshaid, I.H. Ajlundi, M.M. Abboud, N.A. Mohammed and A.M. Khleifat, 2010. Biodegradation kinetics of four substituted chlorobenzoic acids by enterobacter aerogenes. Bioremediation, 14: 55-66. Tarawneh, K.A., F. Irshaid, A.S. Jaran, M. Ezealarab and K.M. Khleifat, 2010. Evaluation of antibacterial and antioxidant activities of methanolic extracts of some medicinal plants in northern part of Jordan. J. Biol. Sci., 10: 325-332. Irshaid, F., K. Mansi and T. Aburjai, 2010. Antidiabetic effect of essential oil from Artemisia sieberi growing in jordan in normal and alloxan induced diabetic rats. Pak. J. Biol. Sci., 13: 423-430. Irshaid, F., A. Jaran, F. Dilmi, K. Tarawneh, R. Hadeth and A. Al-Khatib, 2010. Prevalence of epstein-barr virus latent membrane protein-1 in Jordanian Patients with hodgkin's lymphoma and non-hodgkin's lymphoma. J. Biol. Sci., 10: 507-513. Birmingham, D.J., F. Irshaid, H.N. Nagaraja, X. Zou and B.P. Tsao et al., 2010. The complex nature of serum C3 and C4 as biomarkers of lupus renal flare. Lupus, 19: 1272-1280. Irshaid, F., F. Dilmi, K. Tarawneh, R. Hadeth, A. Jaran and A. Al-Khatib, 2009. Loss of P16/INK4A protein expression is a common abnormality in Hodgkin's lymphoma. Int. J. Biol. Life Sci., 5: 215-220. Irshaid, F. and K. Mansi, 2009. The effects of methanol extract derived from Urtica pilulifera leaves on some hematological and biochemical parameters of diabetic rats. Res. J. Biol. Sci., 4: 675-681. Irshaid, F. and K. Mansi, 2009. Effects of leaf extract of Urtica pilulifera L. on male reproductive system of streptozotocin-diabetic rats. Am. J. Pharmacol. Toxicol., 4: 22-28. Tarawneh, K.A., K.M. Khleifat and F. Irshaid, 2008. Independent regulation of Neurospora crassa bli-7 gene by blue light and glucose using the GTH16 transformant containing the chimeric bli-7/Tyrosinase gene. Int. J. Mol. Med. Adv. Sci., 4: 106-111. Birmingham, D.J., F. Irshaid, K.F. Gavit, H.N. Nagaraja, C.Y. Yu, B.H. Rovin and L.A. Hebert, 2007. A polymorphism in the type one Complement Receptor (CR1) involves an additional cysteine within the C3b/C4b binding domain that inhibits ligand binding. Mol. Immunol., 44: 3510-3516. Hassanain, H.H., F. Irshaid, S. Wisel, J. Sheridan, R. Michler and P.J. Goldschmidt-Clermont, 2005. Smooth muscle cell expression of a constitutive active form of human Rac 1 accelerates cutaneous wound repair. Surgery, 137: 92-101. Irshaid, F., C.Y. Yu and D.J. Birmingham, 2004. Human fetal liver and bone marrow express a transcript that encodes the two N-terminal SCRs of CR1-like. Mol. Immunol., 41: 248-249. Al-Kheraije, K., S. Wisel, K. Rigatto, F. Irshaid, S. Mitchell, M. Morris and H.H. Hassanain, 2002. Expression of profiling in vascular smooth muscle cells leads to vascular hypertrophy and hypertension in a transgenic mouse model. J. Am. Heart Assoc., 106: 296-299. Hassanain, H.H., N. Lopes, M. Marialuisa, F. Irshaid and Q. Ma et al., 2000. Transgenic Smooth muscle cell expression of an activated Rac mutant induces hypertension. J. Am. Heart Assoc., 102: 81-81. Hunaiti, A.A. and F. Irshaid, 1990. Studies on human placental glutathione S-transferase. Multiplicity and mother age influence. Arch. Int. Physiol. Biochem., 98: 331-338.